It’s been a while since a Nintendo E3 showing had me excited, but this was one of those that did. From the beginning Nintendo gave us mostly what we had been asking for: “Show us this is worth having.” Much to my delight, I think they did that today. Starting with Smash Bros, Nintendo showed us something that wasn’t expected…..Satoru Iwata and Reggie Fils-Aime fighting it out in a pretty funny opening segment. The important takeaway was the ability to play with Miis created on the console. It’s a pretty cool addition that admittedly increases the character count artificially. But who can resist settling a Mii Goku vs Mii Superman feud? It was also revealed through a pretty slick anime sequence (MAKE THIS ANIME NINTENDO) featuring a Link and Pit fight that Palutena from the Kid Icarus series would also make an appearance as a playable fighter. I’m not as excited for that as the Miis, but it’s still cool. The 3DS version has been pushed back to October 3, 2014 and the Wii U version is slated for Holiday 2014. Now on to the new stuff. In 2010, Nintendo released Kirby’s Epic Yarn for the original Wii, a platformer featuring the title character rendered literally in yarn form. This time around Yoshi gets the yarn treatment in Yoshi’s Woolly World, and the game looks beautiful. According to the game’s creators, this title was meant more for exploration of the world as opposed to the Mario style “get to the end before time’s up.” Speaking of Kirby, Nintendo announced Kirby and the Rainbow Curse for the Wii U. This is a sequel to the DS Kirby’s Canvas Curse, a game where Kirby is controlled by using the stylus to draw a path for him to roll on. Both games are set for a 2015 release. After that, Nintendo showed Captain Toad Treasure Tracker…that’s right, after 20+ years Toad is finally getting his own game. I could not be more…uninterested. The game is based around the Toad levels from Super Mario 3D World, and while they were fine in small doses, I can’t wrap my head around a full game featuring these levels. 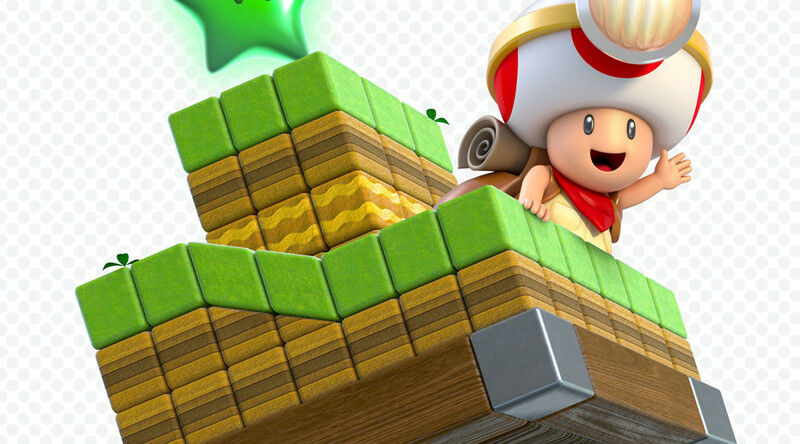 Captain Toad Treasure Tracker is slated for a Holiday 2014 release. *Angelic Choir sings* GOOD GAWD ALMIGHTY!!! THAT’S LINK’S MUSIC!! 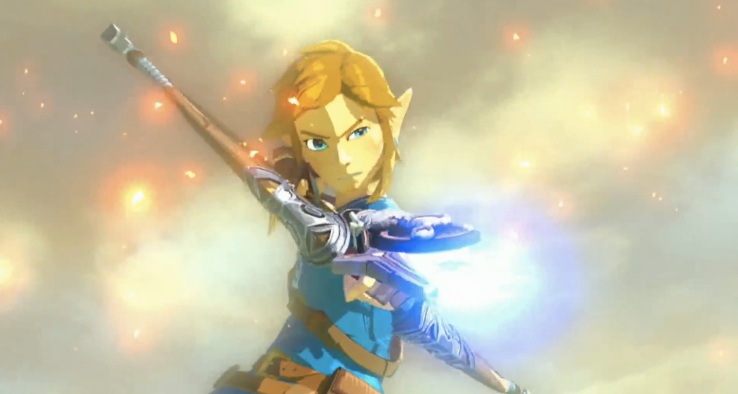 After a brief tech demo last year, Nintendo has shown us the new Legend of Zelda. The rumors were true, Zelda is going open world. Now if you remember the tech demo last year (or use the many video sharing sites on the internet) you’ll notice that Nintendo continues their trend of showing us one Link and giving us another. With that said, based on the trailer they showed today (which they later noted is all in engine), the game looks amazing. The graphical style seems to be a mixture of what Nintendo did with Wind Waker HD, and the painted style of Skyward Sword. The game is slated for a 2015 release, but we shouldn’t expect it until the fall of that year based on the way Nintendo releases games. Next up, another Pokemon remake. 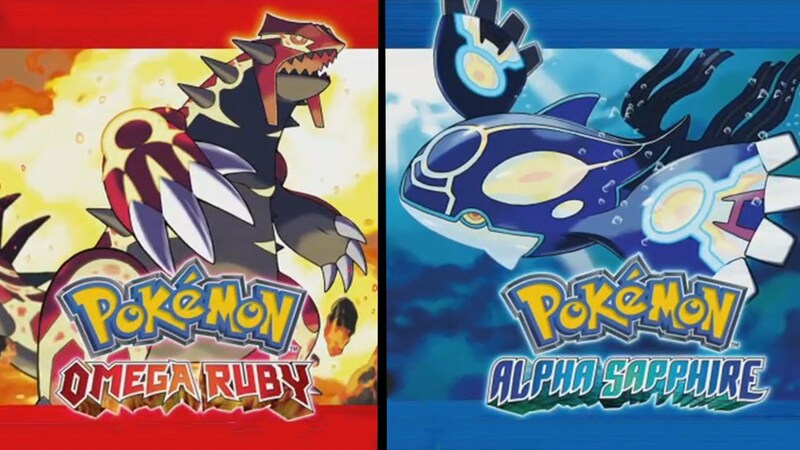 This time around it’s Ruby and Sapphire getting the full 3D makeover. You pretty much know what to expect from this one. Nintendo gave us a short trailer, but nothing groundbreaking was revealed from it. Following up that short break brought to you by Pokemon, we were treated to a full trailer for Platinum Games’ Bayonetta 2. This is where I remind everyone that Jerz pounds his head into a wall every time he hears or reads about it being a Wii U exclusive. It looks every bit as action packed and wild as the original, which was excellent. 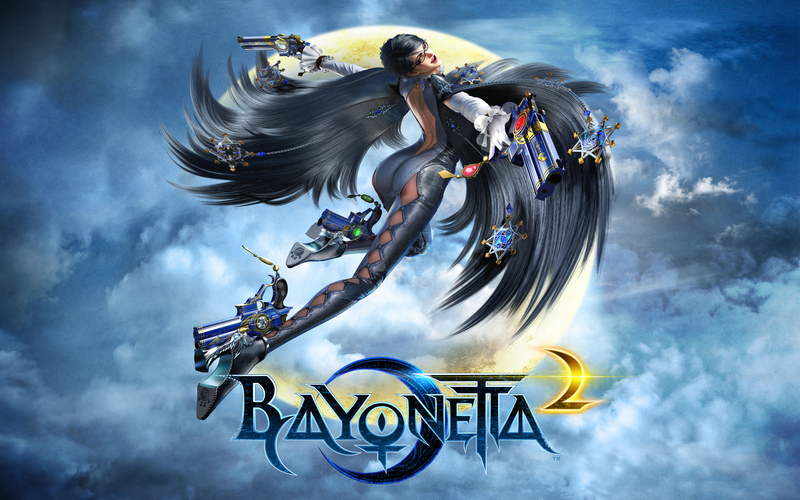 Fortunately for those that never played the original, it is bundled with your copy of Bayonetta 2. Only with the physical copy though, make a note of that. A cool addition to the original game is the ability to wear Nintendo character’s suits as you play. Bayonetta 2 is set for an October 2014 release date. Let’s head back to the world of Zelda for a look at the spinoff Hyrule Warriors. This game was created as an action game in the style of Dynasty Warriors featuring Zelda characters. Keeping with that series’ tradition of multiple playable characters, you wil be able to control Link, Zelda, Impa, Midna, and many others as you hack and slash your way through waves of enemies. It looks pretty good, but the main issue is how long before it becomes just as repetitive as the Dynasty Warriors games tend to be? Let’s hope Nintendo can sprinkle a little magic on the formula. Still, it’s worth a look when it releases September 26th. Xenoblade Chronicles was one of the forgotten games released on the original Wii, mainly because of its release so late in the console’s life cycle. Despite that fact, it was an excellent game. Now Monolith Soft is back with Xenoblade Chronicles X for the WiiU, a sci-fi action RPG that features mechs, which we all love. From the trailer it seems very inspired by the anime series Macross, and that’s never a bad thing. The trailer shows off some game play, but most of it emphasizes the story. They honestly don’t need to do much to sell this to me. Just release it. 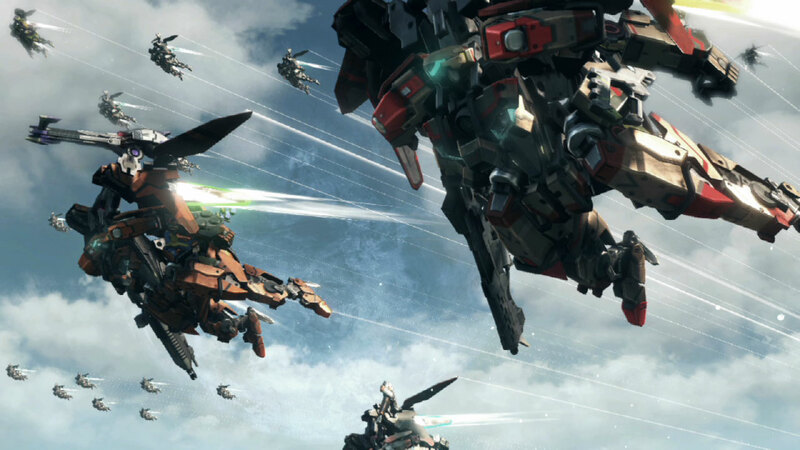 Xenoblade Chronicles X comes out in 2015. Hey this Nintendo event seems strangely devoid of any Mario right? Well here’s Mario Maker, a game (?) that allows you to create, play and I’d assume share your own levels in either of the Super Mario Bros or New Super Mario Bros U styles. So…yeah it’s a level creator. It might be cool for a little bit, and the gaming community is notoriously creative, so it could be interesting. 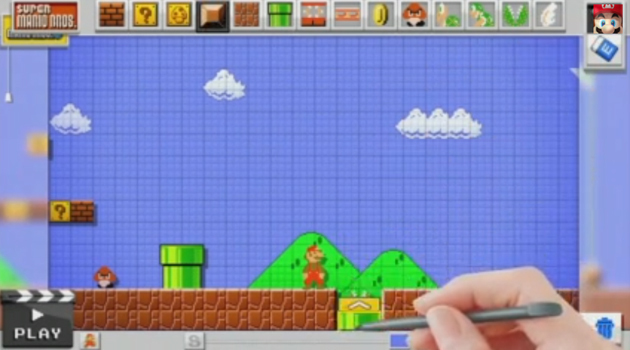 Mario Maker comes out in 2015. 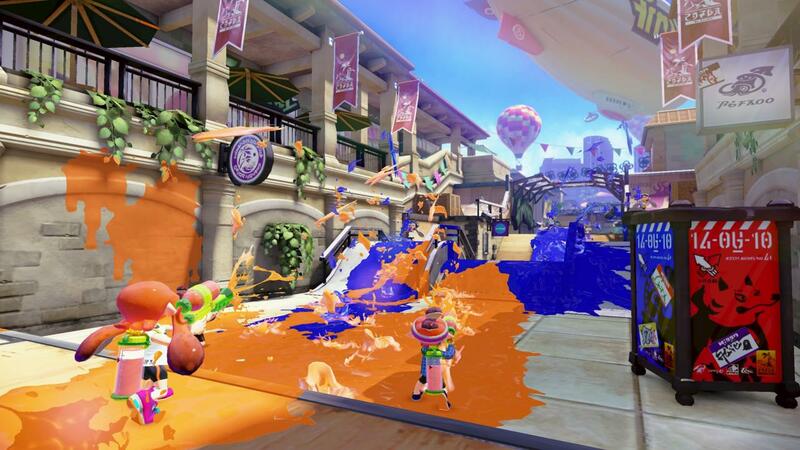 Now this game, I’m looking forward to: Splatoon is a competitive multiplayer shooter that has you playing as humans that can turn into squids. The objective of each match is to cover as much territory in ink as possible. The catch is you can only fire your ink gun as a human. To balance that, you can turn into a squid to travel through your own ink at a much faster speed and refill your tank. If you land in enemy ink, your character slows down. A map on the Gamepad allows you to see where your team is, and with a press of the screen, you launch a super jump that brings you right to them if they’re in trouble. Overall it looks like a great game to further push the Nintendo online community forward. I’m definitely looking forward to getting this when it releases in 2015. Lastly, a couple of quick hits. STAR FOX IS COMING. The game was confirmed by Miyamoto and can be seen in the Digital Event video, though it is blurred out. It is currently set for a 2015 release, but we’ll see about that. Mario Party 10 is also coming to the Wii U in 2015, with a focus on Bowser! That should be interesting. Mario vs Donkey Kong will be coming to the Wii U next year. Last but not least….Tomonobu Itagaki, the director of the Ninja Gaiden series, is releasing his newest game Devil’s Third exclusively on the Wii U. It’s like Ninja Gaiden with guns, and honestly I believe it’s the type of game the console needs. The multiplayer seems pretty cool as well. E3 is generally about the near future and I feel like Nintendo has a bright future coming up. This is assuming the release dates stick of course. As you can see, 2015 is pretty stacked. The end of this year has some great titles coming as well. This is the shovel Nintendo is using to dig themselves out of the hole, and I’m all in. Check out the trailer for Devil’s Third as well as the entire Nintendo Digital Event below. Enjoy the rest of E3 everyone.